after deciding adult beverages were a must-have for the reception, for us it really came down to what we could afford. now, i think we’re luckier than most in that we are getting exactly what we want as far as the drink menu goes, and the reason i say that is because alcohol can get expensive, and very quickly! what you will find out if you haven’t already is that many venues have a drink (and also food) minimum, and that number is often higher than you’d expect. some venues might have a reasonable beer and wine menu (which i think these days is more than enough for your guests), but the second you throw in hard liquor that cost can jump up, which is understandable if you think about it. if your venue doesn’t offer beverage services, another option you might encounter that i think is intimidating at first but actually pretty cool is the venue that is byob. the reason i say intimidating at first is because it might be hard to fathom how you will figure out how much booze to buy for your guests. it’s never happened to me, but i imagine the bar running out of booze could be a quick buzzkill for any reception. however, do not worry because there are several ways you can “calculate” how much each guest will likely drink and from there determine how much to buy in total. i’ve even heard that if you buy, say, a case of beer from costco but don’t open it that you can return it. well, that’s pretty awesome! Over the past two to three years, I have broadened my horizons when it comes to wine. Before then, I avoided the wine list mainly because there was a beer on the drink menu I wanted to try or because I knew nothing about wine. My wife Kari would give me a couple sips of whatever she was drinking while we were out and about, so I came to know what I liked. If I want a white, it’s Pinot Grigio, but if it’s a red, give me a Malbec. When I learned New Zealand was known for Sauvignon Blanc and that there were a few wineries just a 45-minute drive from Christchurch, I decided to check out the local scene. My Internet searching brought me to Waipara Hills and its iconic stone building set among the picturesque Waipara Valley vineyards. I knew they offered samplings, so I approached the bar, eager to dive in with Dennis, the lucky (or unlucky) employee to take me in. When he asked me what I was interested in trying, I replied, “What do you recommend?” He came back with, “What do you usually drink?” I answered, “If I want a white, it’s Pinot Grigio, but if it’s a red, give me a Malbec.” Period, end of statement, no more to be said, but Dennis was looking at me, waiting to list off more wines. Reading the expression on his face, I let him know I usually stay in my lane with wine, so I will literally try just about anything. As such, Dennis started me off with a Sauvignon Blanc that had a very intense fruit/sugar taste, which was way more than I had bargained for. I asked Dennis to turn it down in that respect for the next round, which he did with Gewurztraminer. Now, I couldn’t pronounce the name if my life depended on it, but I came to learn rose petals, lychee, cinnamon, and ginger are characters commonly found in the New Zealand version. This particular batch was stored in an oak barrel, and it was a wine I very much enjoyed. From there Dennis poured a Pinot Gris and Gruner Veltliner, which were good in their own right. At that point, I decided to end my wine tasting journey and asked Dennis for a glass of the Gewurztraminer and a cheese plate. I took a seat on the patio, took in the view, and did pretty much nothing for the next hour. When Kari was in town the following week, we went to Terrace Edge Vineyard, which was just on the other side of the road from Waipara Hills. Terrace Edge is a much smaller operation but was equally enjoyable and has an awesome slogan: “A dramatic landscape captured in liquid form”. Who wouldn’t want to try a wine from a place like that! Jill the owner told us about all the different wines as we sampled them and how her family bought the vineyard on a whim in 1999. Her son even studied viticulture in college and now runs the day-to-day operations in the vineyard! In going to both wineries, the excitement Dennis and Jill had for their craft was obvious, and that’s one thing I noticed about New Zealanders during my time here: They are very proud and passionate about being from New Zealand and sharing whatever it is they love (wine, glacier hiking, etc…) with visitors. i have been looking forward to writing this post for a long time now. the reason i’ve had to wait such a while is because i couldn’t get the product i want to write about until just recently. you might be wondering how that is possible since everything you could ever want is available with the touch of a smartphone or by quickly visiting a website to place an order. well, the reason i couldn’t just summon this product to my doorstep is because it’s only available in florida for the time being, and now that the suspense has built up greatly, i’ll tell you that what i’m writing about today is jacksonville’s first craft vodka carve. vodka? yes, vodka. if i’m being honest, i wouldn’t consider myself passionate about vodka in really any way, but the reason this vodka is so interesting to me is because a former classmate of mine at uga is the founder! paul grey and i had a handful of classes together for our mis major, and although i doubt he even remembers me among a sea of faces, i recognized his face immediately once he started promoting carve back in 2014.
i had reached out a couple years ago, asking if online ordering was available for the product, but the answer unfortunately was no. they weren’t that big just yet, so i’d have to wait until my next trip to jacksonville to give the drink a try. but, in a fortunate turn of events, my boss ended up moving to fernandina beach and so sweetly brought back a bottle just for me! thanks, clinton! after letting the carve chill in the freezer, phillip and i busted out the lemonade to make ourselves a perfectly refreshing drink in this hot, humid georgia july. the smooth carve with the tart and sweet lemonade was just what the doctor ordered. easy to drink and no burn, phillip and i happily sipped them down with no trouble at all. now, i’m sure there are all sorts of distilling buzz words i could throw out there so that it sounds like i know what i’m talking about, but i’m not going to try and fool anyone. carve was a great mixer for our summertime drink, and i would be happy to purchase another bottle again if it means i get to support a fellow uga alum. go dawgs! okay, before you go running for the hills about a post called “the juice you chew”, i implore you hear me out on this one. this past saturday i was at orangetheory with our coach alana, and after a sweaty 55-minute endurance class, we were stretching when she said she had a treat for us. ooh, there’s nothing better than a hard-earned treat! well, i couldn’t quite hear everything she was saying about this chuice stuff, but the bit i did hear was something along the lines of “you take a sip, you chew, take a sip, chew, so on and so forth. it’s only 150 calories per bottle and it is healthy! the chewing process helps you digest your food, and having something in a bottle for on-the-go lifestyles is perfect.” out of respect and intrigue i figured i had nothing to lose, so i made my way to the front of the class to grab a bottle for myself. now, i’d be lying if i said i wanted to chug it down right away. the thick texture and very green color had me a little worried that i might not even be able to choke down a swallow of the stuff. however, i’m usually down for trying something new at least once, so i went for it. i cannot even begin to tell you how pleasantly surprised i was, but i shall try! first, i enjoy kale, so getting to chomp on it along with some crunchy pine nuts didn’t phase me at all. and, along with all the other fresh fruit and vegetables, it was quite a flavor explosion. also, i don’t usually have a texture aversion when it comes to what i eat, so that was something i didn’t really have to get past. i will say that drinking (or maybe eating?) chuice isn’t the most graceful of acts, in that sometimes you’re slurping up a piece of vegetable while also trying to sip. just imagine that while trying to drive home. oh, and here’s a pro-tip when enjoying chuice: be sure to shake after each sip to make sure the thinner liquid actually mixes in with all the more solid ingredients. the reason i say this is because if you do not you’ll end up with a big clump of vegetables and fruits at the bottom of the bottle that you cannot get out, which is a shame because all those vegetables and fruits are so tasty! now, you might be thinking “eh, that evergreen flavor doesn’t look like my cup of tea.” well, have i got news for you! they also have one called heart-beet! seriously! i cannot make up this stuff, and you all know how much i love beets, so i am convinced it is fate. you can purchase chuice online or, if you got to their locator page, you can find a store near you where you can indulge. lucky for me there are plenty of nearby whole foods that carry them, so i just cannot wait to stop by. do your body something new and good and give chuice a try! I’m back and better than ever! It’s Kelsey’s dad with a blog about our recent trip to Santa Barbara for my niece’s wedding. None of the names have been changed to protect the guilty. Unlike the trip that Kelsey and I made out to San Pedro for my brother’s birthday a couple years ago, we left plenty early to drive to Hartsfield airport. While on the way, I serenaded Kelsey and Phillip with a few powerful renditions of “Phillip The Man”. Fantastic if I do say so myself. Anyway. We got to the airport and parked in extended parking row 63 (in tribute to 1963, the year that John F. Kennedy was shot). Kelsey, Phillip, Kyle, Kari, and I all flew out together – a train wreck just waiting to happen. We got to the gate and I began to chat it up with a lady sitting near us. The lady loved my Chinese proverb “Humor is the passport to success.” What can I say? The flight itself was long and bumpy, but four and a half hours later we landed at LAX. Victoria and Clark picked us up and we were on our way to Santa Barbara. Clark did a terrific job driving and also helped put together a specially requested “SoCal” playlist, a playlist only with songs about California or songs by artists from California. We hit massive traffic going up Highway 1/PCH. But eventually the traffic broke loose and we stopped at Neptune’s Net. Neptune’s Net is a classic beach-front dive and we enjoyed their food and beer. Some would say the highlight of Neptune’s Net were the two seagulls who were “doing the wild thing.” Some would say this “doing the wild thing” was disgusting. Anyway, just nature. We rested and then were on our way to Dargan’s for a reception-type activity for those who were from out of town for Sara and Christian’s wedding. Needless to say, the “Alabama Rednecks” traveled the furthest. Anyway, Dargan’s was a huge hit. All the Rednecks wore Hawaiian shirts, and I thought they looked great. OMG. While leaving Dargan’s, Victoria mentioned she was hungry. Great idea and, even better, there is an In-N-Out in Santa Barbara!!! Clark did another terrific job driving and got us there safely. I ordered a double-double, animal-style for both the burger and the fries. Heaven!!! 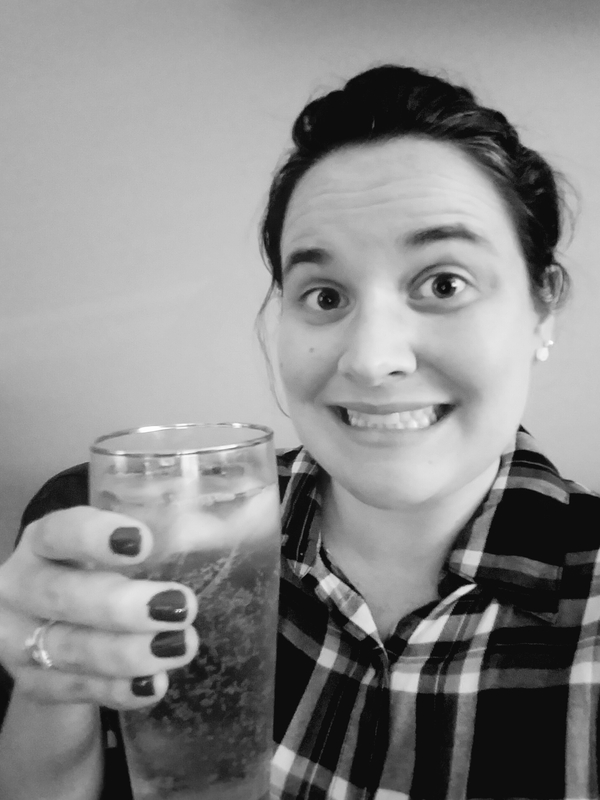 #dailyselfie – the days when only a double 7&7 will do.